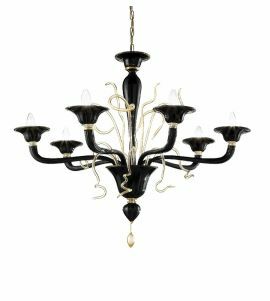 Murano glass chandeliers in black color are the epitome of style. They are handcrafted and expertly designed by renowned glasswroker artisans to ensure that they will fit perfectly in modern and contemporary designed homes. Italians are famous for their elegance and sense of style so it's no wonder that these veritable glass art pieces are created in Venice. 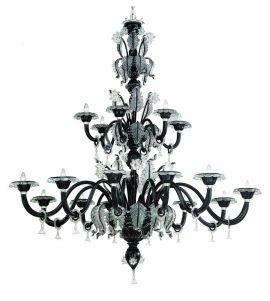 Either you want to create a stark contrast or you want to enhance a mysterious room, the black chandeliers offered in our online store are your best choice.